This chandelier is an incredible addition to your home offering both function and modern design. You will love how this fixture transforms your home with its eye-catching style and function. 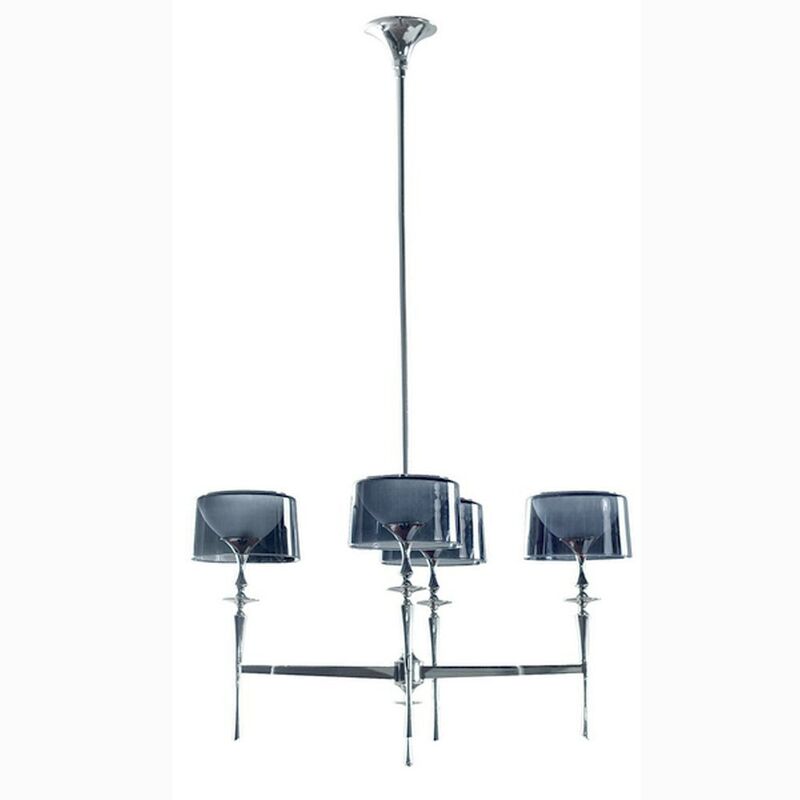 This 4-light fixture from the Daniella Collection features a polished nickel finish and black flat glass. This fixture adds upscale charm and contemporary aesthetics to your home.